Violin vs. Viola: What's the Difference? A businessman might smile, comment, “Wow, that’s beautiful,” and, upon deducing the lack of value in the potential assets he is observing, politely leave. A veteran musician, after glancing at the thing, might hint that the piece of equipment is subpar to her own. The first question of the restaurant manager’s statement is one commonly put forth to me and, as I have heard and seen, other string players. The confusion is understandable – the shapes of the instruments are identical, the amounts of strings the objects have are the same, and even the sounds they produce are similar to each other. For one, there is string variance between the two rigs. The standard tuning of the four violin strings are, from lowest to highest, G, D, A, and E. The E string, with its ability to produce bright, thin, and birdlike sounds, can let out unusually high pitches, perfect for song designed to pierce a lasting impression into one’s heart. Its notes can be clearly heard over those of lower counterparts – namely, cello and bass – fitting in perfectly to the space over the neighbors’ sonorous depth. Tchaikovsky utilizes the violin’s strength in the concluding phrases of his forth and fourth symphonies, whose fast sections contain whirlwinds of elevated frequencies. Mozart’s B-flat major and D major concertos are also classic archetypes of full use of the violin’s capabilities. Viola strings are tuned, from bottom to top, as C, G, D, and A. Three of the strings are the same as the violin’s, except that they are each moved one position upwards. The violin’s E-string is missing, and a low C-string is added to the low (or left) part of the contraption. This allows for deep, seductive timbres, and provides composers with harmonic versatility, allowing them to touch notes that are unplayable by the violin and that might flaunt awkwardly if given to the cello. The viola is an extension of the violin – the instruments’ unification forms an orchestrated five-string instrument. Johannes Brahms’ signature dark sonic pallet is one that embraces the viola’s powers. The composer’s Viola Sonata in E-flat Major indulges in the C-string’s chocolatey luster, basking in its sublimity for measures on end. The German composer’s First String Quintet in F Major uses the viola’s low string for underlying harmonies, pulsating them with momentous order so that the violin’s leaping parts never lose ground. In an uncommon act for a Baroque composer, Georg Telemann wrote a viola concerto (Viola Concerto in G Major). In it, rather than float above the accompaniment, as violin solos normally do, the viola part glides underneath the violins’ airy background, while stabilizing with the cello section. 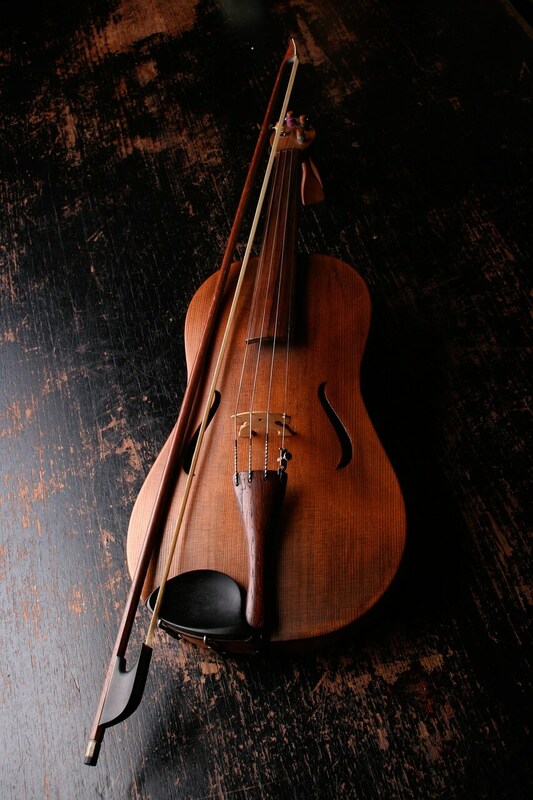 It, like many viola showcases, consists of slow and soft, brushed textures, presenting another difference between the viola and the violin: sound quality. The violin is known for its potentially shining and elegant audio. Its slender E-string, as mentioned, is superb for full orchestral melodies and song, as made audible by a cumulonimbus of symphonic works. 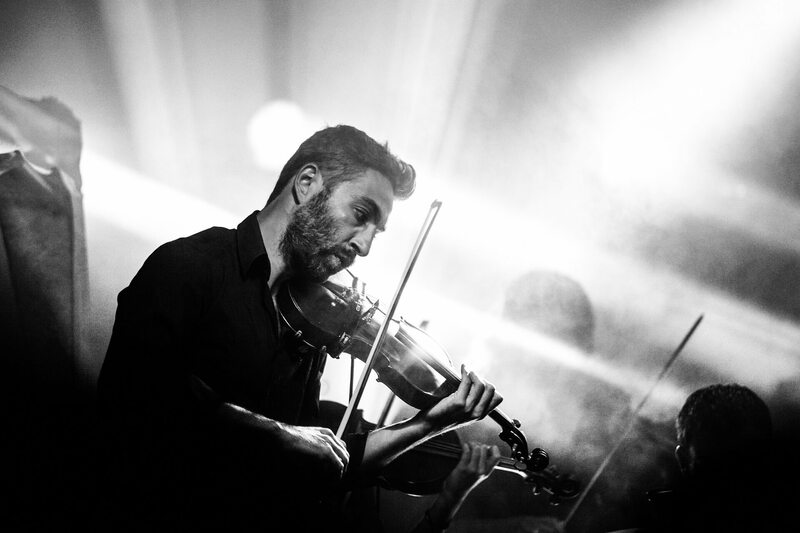 The instrument’s sounds transcend the lower voices of others, and, just as soprano singers or the right hands of pianists usually sing or play lead parts, the violin regularly functions as the head melodic aspect of classical composition. With a small amount of matter to move bow against comes ease of motion, and tremolo (speedy reciprocal motion of the bow against a string) is a cherished trope of violin compositions. Ludwig van Beethoven’s Symphony No. 7 is a prime example of music that utilizes violin for a main theme. Throughout most of the second movement, the first violins perform the lead role, resigning only to reinforce the flute (another common melody-playing instrument) section, which soon returns the position to the treble-clef strings. Antonio Vivaldi, especially known for his violin works, expounds upon the item’s ability to play quickly and coquettishly, writing lightning-fast and brilliant sequences that can streak a concert space with good impression. His Violin Concerto in C Minor uses striking bass and sectional parts to emphasize the soloist’s even beats, which flash by between vigorous running motifs. The pages of the famous “Four Seasons” are blackened by entourages of note heads, instructing that the solo violin dominates any given performance, and encouraging vocal leadership from the soloist. Violas, due to their nadir that violins lack, are apt to tell tales of somber, Stygian quality, and are commonly used to fertilize the landscape that “lifted” instruments sing on. Due to the larger size of the instrument and to the thickness of its strings, a viola is most likely to play melodies that are carefully carved, and that extend the lengths of low notes so as to illustrate their full beauty. In his Duo for Viola and Cello in E-flat, Beethoven takes advantage of the similar tones of the viola and cello, causing their parts to harmonize both in unified rhythm and in syncopated patterns. The organic aspects of the one instrument complements the other well, and the earth that is laid before them is trodden on softly and sweetly by both. With mystifying progressions, Claude Debussy’s Sonata for Flute, Viola, and Harp pushes the limits of the viola, calling for harmonics, trills, and streaming arpeggios in between an emergent harp part and a flute’s broad melodies. The subtle and sequestered portrait it paints seems to depict a forest of unarchived fairies and spell-conjuring sprites, while maintaining a sable image of dusk. The viola’s purpose is fulfilled here, and the stringed instrument is permitted its fair say. Both the advantages and the disadvantages of violin and viola are heard in these pieces. The violin, partially because of its string setup, is often brought to play high, fast, melodious lines, while the viola, partly for the same reason, is frequently called to perform rhythmic or protracted parts. In addition to the instruments’ respective string formations, there are other factors that contribute to these phenomena. Though a player does, nonetheless, hold one up with his shoulders and chin, a viola is notably larger than a violin. Its length requires longer arm span and greater finger stretching, while more neck and upper-body strength is needed to hold its weight. Also, a viola set’s bow is longer than a violin set’s, so more force is needed in order for both ends of the stick to graze the strings in one fast move. Performances such as Máté Szűcs’ rendition of Bela Bartók’s Concerto for Viola and Richard O’Neill’s version of Franz Schubert’s Arpeggione Sonata, however, show that excellent viola work can be achieved, and exploit the joys that the instrument can bring, despite the physical burden it might be. The violin is comparatively small, and the average adult’s hand can easily wrap around its neck. Light and bright, solo pieces written for it are often virtuosic, and require much finger accuracy and sharp awareness to master. With their relative ease of use comes a high volume of players and experts, and their suitability for beginners is compensated by the amount of competition regarding them throughout the world. Examples of adept violin-playing are Hilary Hahn’s performance of Mendelssohn’s Violin Concerto in E Minor and Itzhak Perlman’s recital of Beethoven’s Violin Concerto in D Major. As violin is, according to BBC News, one of the “top[-selling] instruments [of] 2014” among young musicians, the search for a teacher in most metropolitan cities should not pose a challenge (Judith Burns, “Electric guitar overtakes violin in music lesson boom”). This article shows the main differences between the violin and the viola. Violins, known for their high-pitched, melodious capabilities, are often used for soaring vocal lines. Violas, of which a low C-string and depth of tone are signatures, are normally given long and textured or rhythmic arrangements. Both instruments are magnificent, and a great number of works and performances for and of both have been made.